This is a comfy open plan family home which would suit couples, small families or keen fishermen for a relaxing break away. There is a gas and wood fired BBQ on the deck, plus a rockery garden containing a pond. The property is fully fenced in the front and the back with a large grassed area at the back for the family dog to run free. As well as taking walks along the lake front reserve ( which has a dog walking area past the boat ramp) Lake Rotorua is a shallow lake so safe for swimming and of course it is great to walk along the reserve to find ducks to feed. There is a bridge over the Waiteti stream which is a great vantage point to feed the ducks on!!!. The beach is also great for pulling your boat up onto after a morning's fish then enjoying a relaxing lunch on the deck before heading back out to see if the fish are still biting!!! It is 15 min drive to Rotorua city where you can tap into Rotorua's tourist attractions. And it is a 10min walk to the Ngongotaha village where you will find cafe's, dairy, post office, bottle store, takeaway's,chemist,doctor,petrol station etc. Note: There is also has a small cottage at the back of the property which might is occupied by the owner during your stay, this cottage shares the outside laundry with the main house otherwise it is completely separate. On departure the property is to be cleaned and left how you found it or alternatively cleaning can be provided for an additional charge of $80.00. To be arranged at time of booking. We prefer to rent to families and couples and when requesting a booking please tell us a little about yourself so we can be sure that Peters Paradise is suitable for your needs. Pets allowed with prior approval and outside only. Fully fenced property with off road andamp; covered parking for car andamp; small boat. Views are amazing and the hosts are lovely. 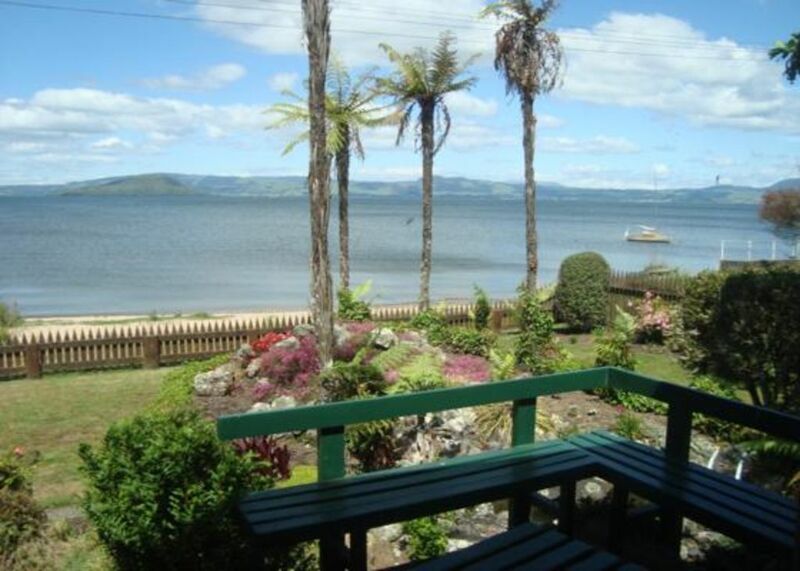 This property was exactly what my family and I were looking for on our trip to Rotorua. Being right on the lake was peaceful and quiet, and we loved watching the birds in the morning. The house is very clean and felt just like a home. Highly recommend this place if you're looking for a quiet stay outside the city! Amazing lake front house, first ray of sunshine sheds light on lake and reflection comes inside the house. We enjoyed it a lot and sure gonna be back whenever we will be traveling around Rotorua. It’s clear that a lifetime of warm family memories were made in this household. Peter’s personal touches and craftsmanship show up throughout the household. We appreciate that your family is willing to share it with travelers like us. It was a very comfortable stay and the view from the back deck is second to none. We had a great time. Lovely to wake up to the lake view. Lake is shallow so great for kids, shops around corner has everything you need.